This regiment was raised at Inniskilling by Colonel James Wynne in June 1689. 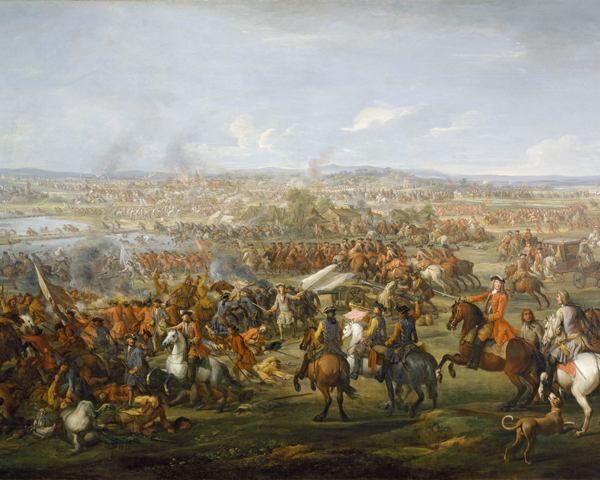 Initially a dragoon unit, it fought in Ireland for King William III against James II at the Boyne (1690) and Aughrim (1691). In 1694, it deployed to Flanders, going on to fight at the Siege of Namur the following year. The unit remained in Ireland for most of the next century, although it also served in the Low Countries during the War of the Spanish Succession (1701-13). It fought at Blemheim (1704), capturing three French kettledrums, and at Ramillies (1706), where it captured a whole French regiment. It also saw action at Oudenarde (1708) and Malplaquet (1709). Its record of service led it to being renamed The Royal Dragoons of Ireland and it was given grenadier caps as part of its uniform. In 1751, it was ranked as the 5th (Royal Irish) Regiment of Dragoons. Its duties in Ireland were mainly limited to policing, garrison duties and suppressing discontent. But separate billets and infrequent musters left the regiment in a state of disorganisation. This came to a head in the Irish Rebellion of 1798, during which it was infiltrated by three rebels and accused of sympathising with their cause. The exact extent of those sympathies is still controversial, but the following year the regiment was moved to Chatham in England and disbanded. After the Crimean War (1854-56) and Indian Mutiny (1857-59), the British Army needed more cavalry troops. 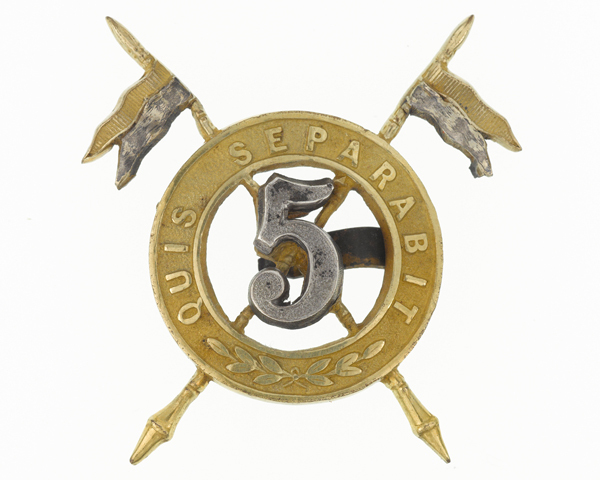 A new 5th Regiment of Dragoons was raised in 1858. Three years after its formation, it changed from dragoons into lancers. However, this new unit was ranked after the 17th Lancers owing to its predecessor's dishonourable disbandment. For the next few decades, it was mainly used on garrison duties in England, Ireland and India. But it also sent two squadrons to fight in the Sudan in 1884-85, charging with lances at Suakin (1885). The whole regiment deployed to the Boer War (1899-1902) in 1899, where its 'C' Squadron took part in the charge at Elandslaagte (1899) and helped relieve Ladysmith (1900). The regiment spent the pre-war period in England and Ireland. In March 1914, it was encamped at the Curragh as part of 3rd Cavalry Brigade, when its officers were mistakenly informed they would have to impose home rule on Northern Ireland or resign. This became known as the Curragh Incident. Over 80 per cent of the brigade's officers, many of whom were Irish Protestants, initially offered to resign before the mistake was corrected. This clarification also allowed the 5th to sail for the Western Front five months later. The regiment remained on the Western Front for the entire First World War (1914-18), fighting at Mons in both 1914 and 1918. Other battle honours included the Marne (1914), Ypres (1915), Arras (1917), Cambrai (1917), the Somme (1918) and Amiens (1918). In the 1918 Mons action, it suffered the final British casualty of the war. Private George Ellison was shot by a sniper minutes before the Armistice came into effect. In 1919, it deployed to Risalpur in India, where it was disbanded in 1921. The following year, a single squadron was re-raised and merged with the 16th (The Queen’s) Lancers to form the 16th/5th Lancers. 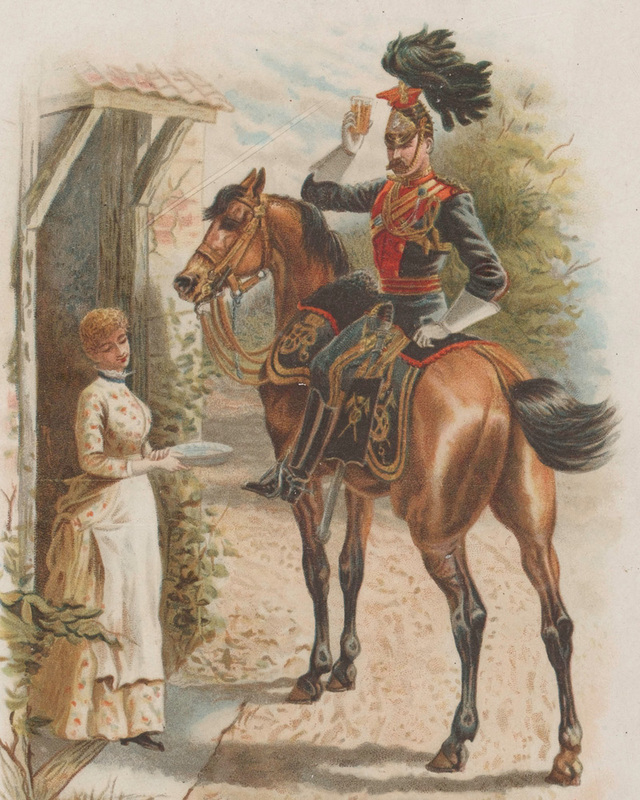 Explore the history and collections of the 5th (Royal Irish) Lancers by visiting The Queen's Royal Lancers museum at Thoresby Park, Nottingham.